to operate it is as simple as opening the case and switching it on. directly overhead down to below the horizon with a continuous rotation in azimuth thus offering a complete view of the sky. opens up new areas of use for fully portable systems, thus offering an alternative to traditional auto tracking systems of even a much greater size and cost. The VT-004 is available with an optional light weight radome. This radome protects the antenna against even the most extreme weather without disrupting any of the antennas standard features. So once fitted the data reception is still exceptional, azimuth movement is still unlimited, the antenna can still look from straight up to -20 degrees down and the camera functions are still all there. 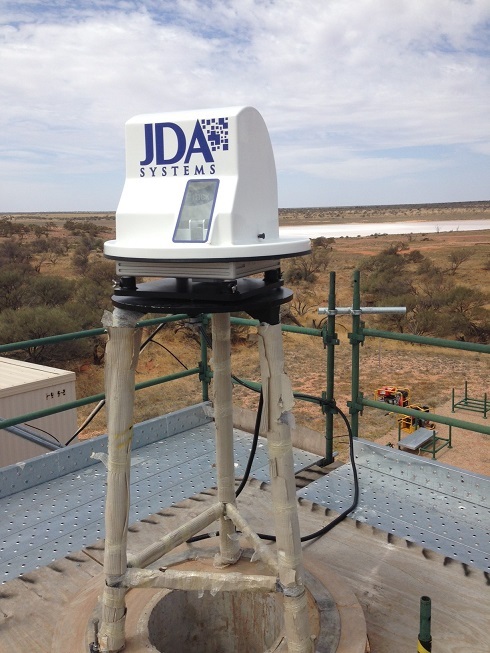 This specially designed radome is easy to mount and dismount and has been tested from -30 to +65 degrees centigrade and with winds in excess of 140 kph. ► Fully integrated auto calibration system allows the antenna to be powered and operating at optimal capacity in less than five minutes. ► The fully integrated design makes the VT-004 fully man portable. ► The VT-004 antenna is built around a bus centric design. antenna greatly reduces the required cabling and thus the installation costs, also allows for easy remote operation. ► DC Brushless overrated motors with serial bus based controllers offering exceptional agility. ► Hermetically sealed receiving head for better performance in adverse weather conditions and reduced insect/pest problems. ► Optional light weight radome.